Do you know the way to San Jose? It turns out Charlie Chaplin did. 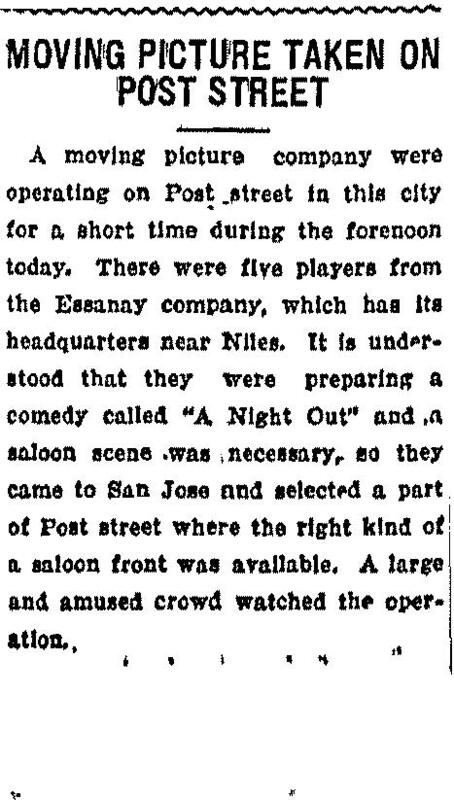 Thanks to the Blu-ray clarity of Charlie’s restored Essanay comedies, and the tenacious research by Niles Essanay Silent Film Museum historian David Kiehn, we now know Chaplin and crew filmed saloon scenes from A Night Out (1915) in San Jose beside the Alcantara Building (1903), still standing on the NW corner of Post and Market Streets. The Alcantara Building (1903) still standing at Post (left) and Market (right). Charlie likely filmed on Post just steps from the corner. (C) 2017 Google. 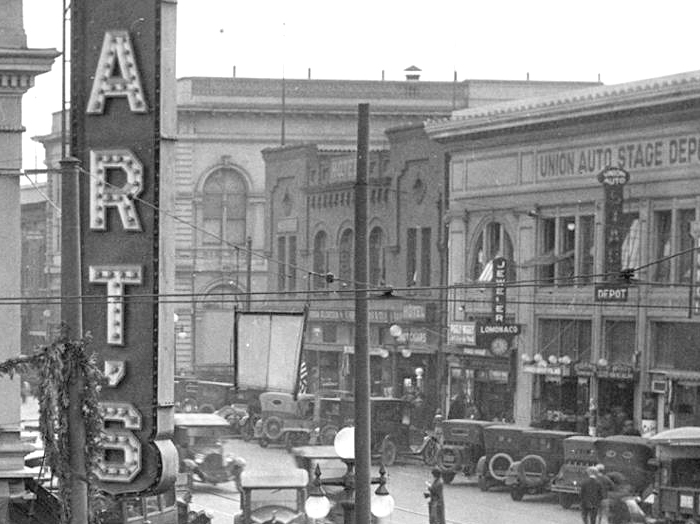 The Market Street face of the Alcantara Building appears at back (center) in this vintage photo. 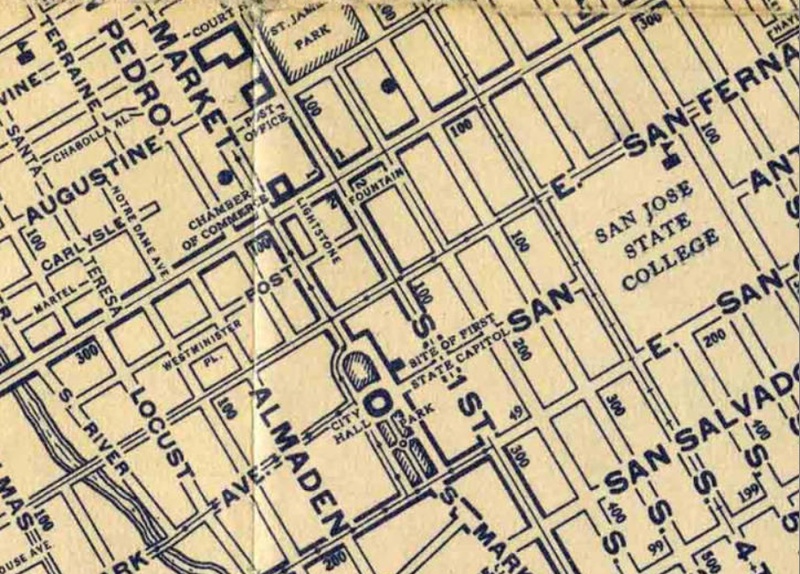 A 1914 map of downtown – Chick’s Saloon at 107 Post Street stood at the corner of Market. 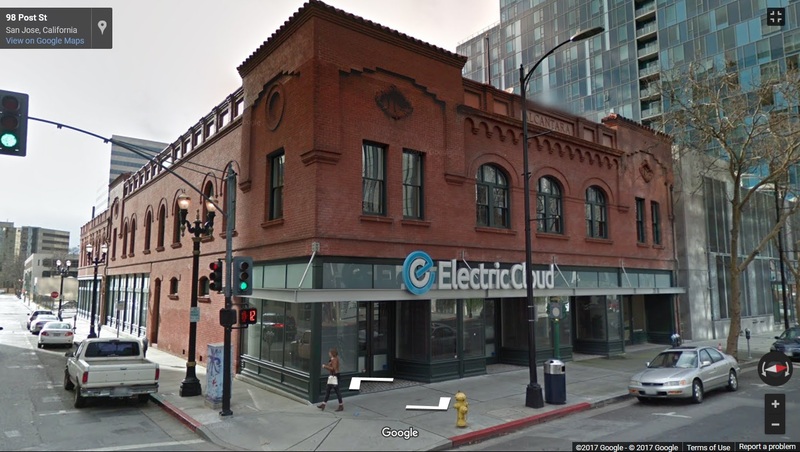 on Google Street View, the vintage saloon building is still standing, with high tech company Electric Cloud as a tenant. Once an eyesore threatened with demolition, the now upscale building was renovated with numerous picture windows along the ground floor on Post Street. Chick’s Saloon stood at 107 Post, likely near the corner. 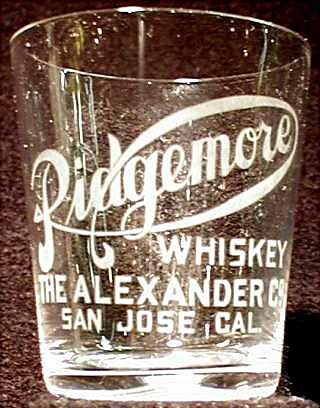 The words on the doors read “Ridgemore Whiskey,” sold by the Alexander Company of San Jose (see below). Advertised on the saloon doors above, Ridgemore Whiskey was a local brand. To be thorough, I checked the 1912 San Jose City Directory and the 1915 Sanborn fire insurance maps. Both sources revealed eight candidate saloons that could have been used for filming. But unless one of these seven other saloon owners also went by the name “Chick” the likely candidate has to be 107 Post Street. The saloon bar appears visible through the doors. Per David’s newspaper accounts the San Jose Liquor License Committee recommended granting Mr. Leddy a saloon license for 107 Post Street on March 30, 1909. Yet by 1918 the Civic Council revoked Chick Leddy’s soft drink business license because he had sold $150 of whiskey from the premises. By 1928 Chick Leddy was convicted of murder, with help from his bartender, for beating a salesman to death, apparently for winning too much slot machine money at Chick’s Prohibition-era roadhouse. Despite receiving a life sentence, David reports Chick later bribed his way out of San Quentin, and died in San Jose in 1950. Click to enlarge – the San Jose skyline circa 1935, looking south. The Alcantara Building (arrow) facing Market Street to the far right, with the dome of St. Joseph’s close by. 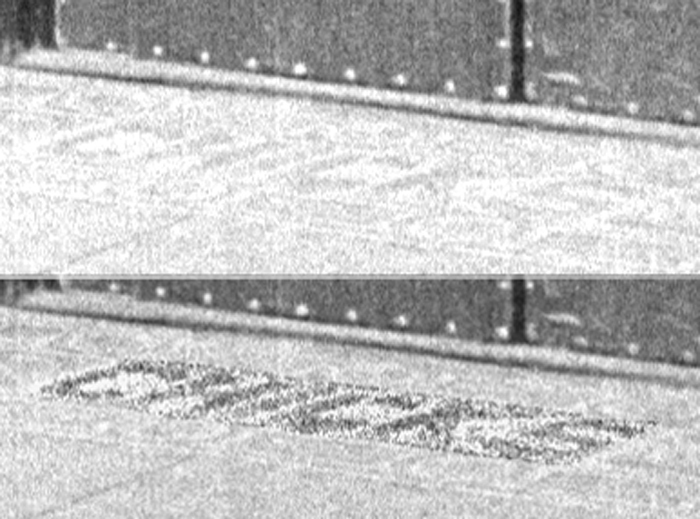 San Jose State University Gordon Panoramic Collection. 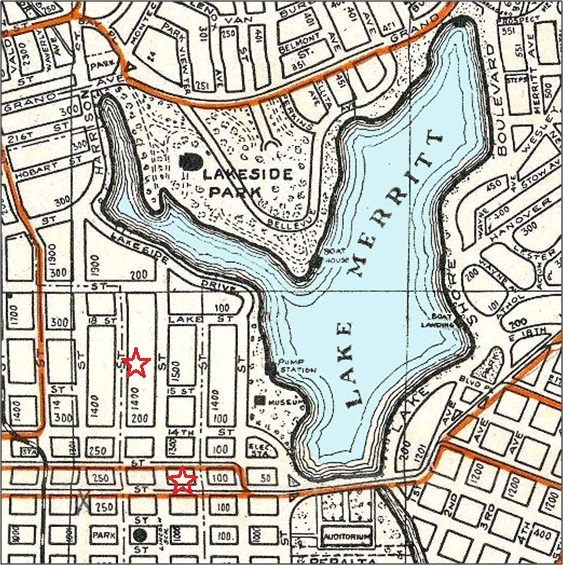 While researching his book, David discovered Charlie also filmed scenes for A Night Out in Oakland beside the Peralta Apartments at 184 13th Street, and the Sierra Apartments at 1502 Alice Street, both still standing near Lake Merritt. Charlie and fellow comic Ben Turpin beside the Peralta Apartments 184 13th Street in Oakland. Charlie takes a spill beside the Sierra Apartments at 1502 Alice Street in Oakland. 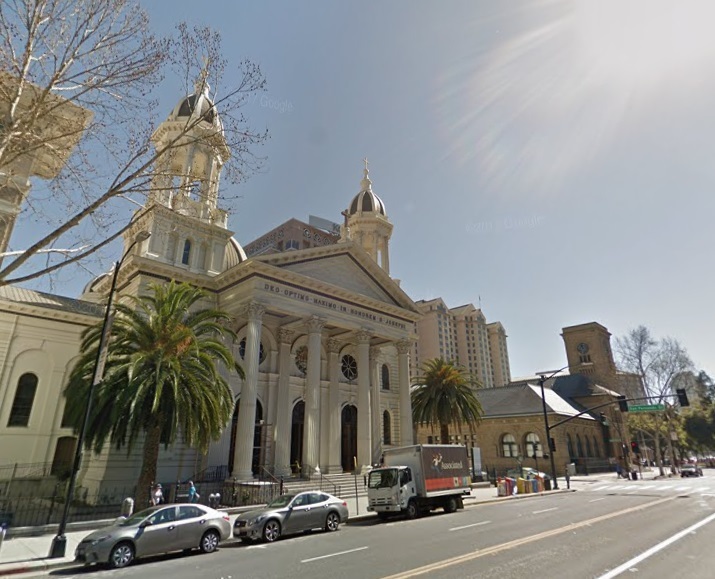 The Alcantara Building stands just a block north of the historic Cathedral Basilica of St. Joseph (completed in 1885), and the neighboring historic post office building (completed in 1895), now anchor for the San Jose Museum of Art. You can read more about Chaplin filming A Night Out, and locations from all of his other movies, in my book Silent Traces. 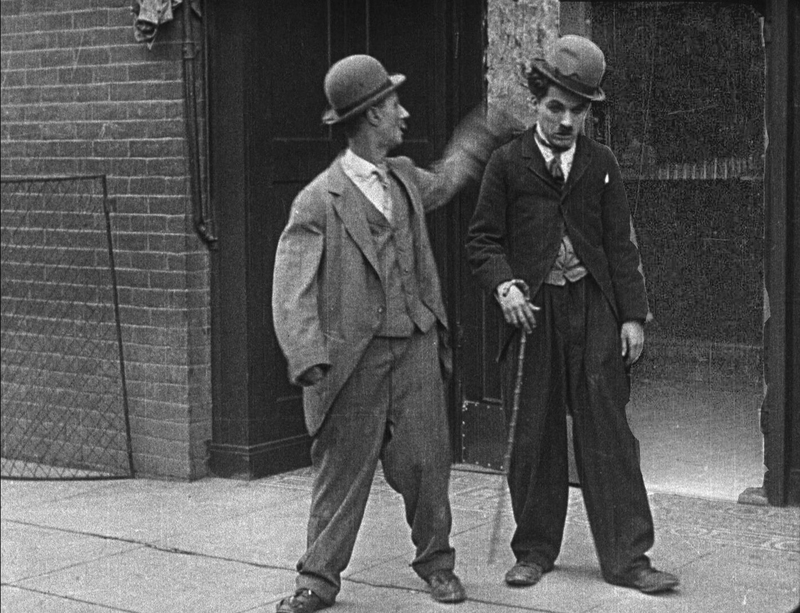 Chaplin made five movies at Niles before returning to Hollywood in May 1915, filming a few exterior scenes in San Francisco and Oakland. 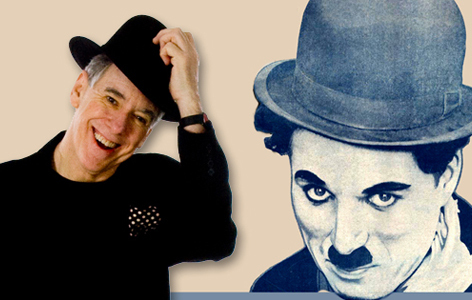 But we now know Chaplin once made his way to San Jose too. I want to especially recommend Dan Kamin’s unique Funny Bones performance at the festival on July 22 at 7:30. A gifted comic, author, and renowned Chaplin authority, Dan coached Robert Downey, Jr. in his Oscar-nominated turn in the movie “Chaplin”(which Dan will introduce at the festival July 21) and coached Johnny Depp for the movie “Benny and Joon.” Using film clips and live demonstrations, Dan deconstructs Chaplin’s unique physical comedy and body language, showing how and why Charlie moved the way he moved. Dan’s show is absolutely fascinating, and you’ll leave feeling you’ve seen Charlie in a whole new light. Dan is also performing Funny Bones at the Smith Rafael Film Center in San Rafael on July 20. 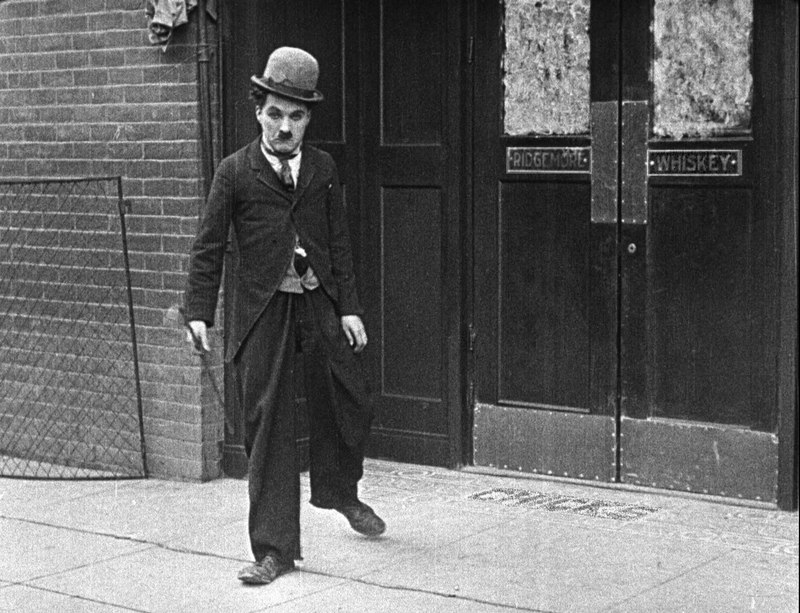 This entry was posted in Charlie Chaplin and tagged A Night Out, Alcantara Building, Chaplin Locations, Chaplin Tour, Charlie Chaplin, Niles, Niles Essanay Silent Film Museum, Post Street, San Jose, Silent Comedians, Silent Comedies, Silent Movie Locations, Silent Movies, then and now. Bookmark the permalink. I just LOVE this site, and it has kindled a love uf Buster in me that just does not seem to go away! The present state of the Sierra Apartments is amazing! You can see where the grass was filled in beneath the windows behind Charlie, the vertical boards just inside the vestibule are still in situ, and the even the step remain as they were 102 years ago. I want to travel there JUST so I can sit where Carlie sat! I love seeing old buildings that have been preserved so beautifully. Knowing that Charlie Chaplin was there makes it even better. I, too, wish I could go to San Jose to see these buildings in person. One of the greatest actor/ film contributor in the history of entertainment.